I drew this cartoon to express what appears to be the hatred of many Republican leaders for our African-American president. Minority Leader Senator McConnell’s early declaration that his primary goal was to make President Obama a one-term president is outrageous. The number of filibusters during Obama’s administration under McConnell’s “leadership” is close to double the ridiculously high levels during the Clinton and Bush administrations. See the interesting chart in Ezra Klein’s article, the history of the filibuster. Then, there is the unending assertion that the president is not a U.S.citizen and that he is a Muslim. Hate, Hate, Hate! 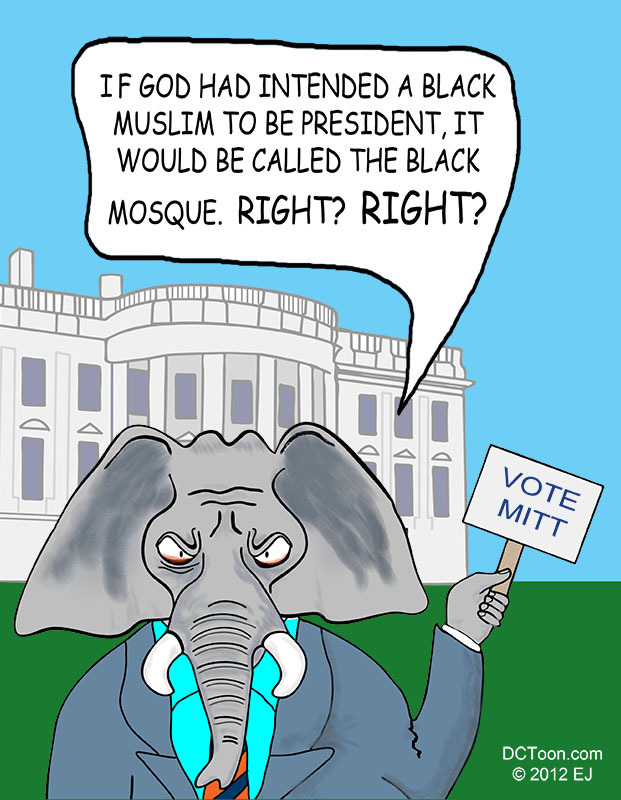 This entry was posted in 2012 Elections, Republicans and tagged 2012, black mosque, Cartoon, EJ, election, hate, Presidential by EJ. Bookmark the permalink.